It is my goal for the Summer to Post EASY healthy recipes I know your kids will love to eat and love to make every Monday. I really struggle to stay on a schedule, especially when it comes to posting, but The #CrumblyCrew and I are having so much fun making summer treats since the weather has gotten nice. I found a great base for almost any flavor popsicle you want to make using a can of Full Fat Organic Coconut Milk, 2 frozen Bananas, and Local Honey. This base provides essential fats for your growing babies and also if you can sweeten with local honey instead of sugar you will help boost your kids immune systems and help ward off nasty allergy symptoms. I swear Charlie loved these popsicles, he just woke up from a nap when I tried to take his picture. That was a huge NO NO. 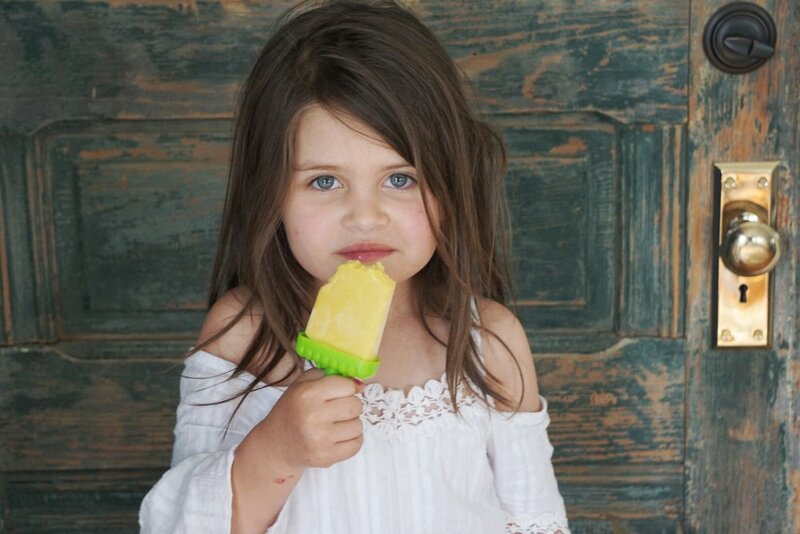 If you guys have not ordered your popsicle molds yet head over to my cooking with kids KIT to pick from my favorites. They are all crazy affordable and will end up saving you tons of money this summer for all the DIY treats you will be doing. 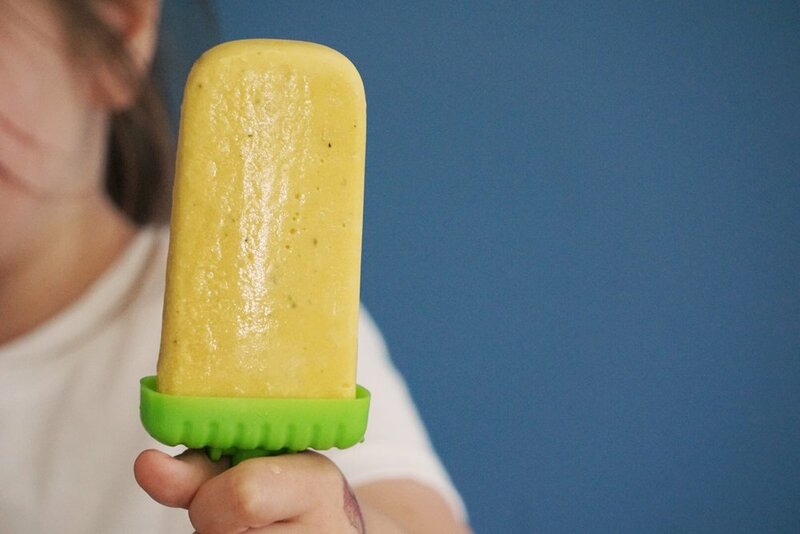 Popsicles are the perfect place to sneak in some extra veggies like Zuchinni or Cauliflower and also all those superfood powders you have been wanting to get into your squad. I have an extra special recipe coming out in a couple weeks on The Healthy Way Blog so stay tuned for that. In the mean time I hope you get to blending and trying super fun Popsicle variations like this Mango Mania one we just made.